10 Things You Might Not Know About THE AMAZING SPIDER-MAN (TV Series) | Warped Factor - Words in the Key of Geek. 2. Hammond was offered the role of Peter Parker after a studio executive saw him on stage at the Mark Taper Forum in Los Angeles performing in The Importance of Being Earnest. Hammond accepted on the condition that the show would depict a realistic portrayal of the character, as he did not want it to be set up as a comedy like the 60's Batman TV show. 3. 3. Although Hammond played Peter Parker in the television series, in all of the scenes in which Spider-Man is seen performing stunts or without dialogue, a stunt double was filmed by a second camera unit. This was mainly done to save time because an entire episode had to be shot within seven days, so when Hammond was performing the Peter Parker scenes with the first until the second unit was out with Freddy Waugh shooting the Spider-Man stunt scenes. 4. 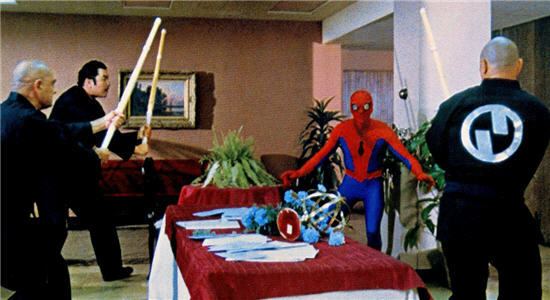 Despite the hasty turn-around time for production, and the strong ratings garnered by the pilot, CBS never gave The Amazing Spider-Man a set time slot in their schedule. 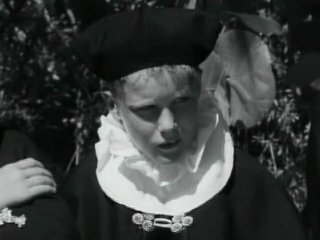 The first series of just 5 episodes aired in April-May 1978, with the second series of 7 episodes spread throughout the 1978-79 season on a sporadic basis, usually scheduled strategically to deliberately hurt the ratings of specific competing shows at key times in the TV season (e.g., "sweeps"). 5. The Amazing Spider-Man gave us the first and only (to date) live-action depictions of Peter Parker's "spider-tracer" tracking/homing devices (a small electronic tracking device that is installed in a casing that resembles a spider) which are prominently featured in several episodes throughout the series. 6. Spider-Man's web shooters and belt are on the outside of his costume in this series, unlike in the comics where they are concealed within his costume. This was later adapted to the comics when a character named Ben Riley (who was a clone of Peter Parker) used improved web shooters and initially kept his belt on the outside of his costume as the Scarlet-Spider. 7. 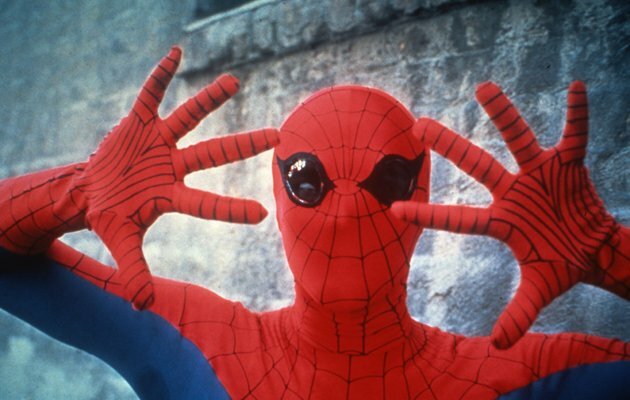 In spite of the show's popularity, many Spider-Man fans were highly critical of the series. This was largely down to the many changes made to Spider-Man's mythology and the lack of any real super villains. 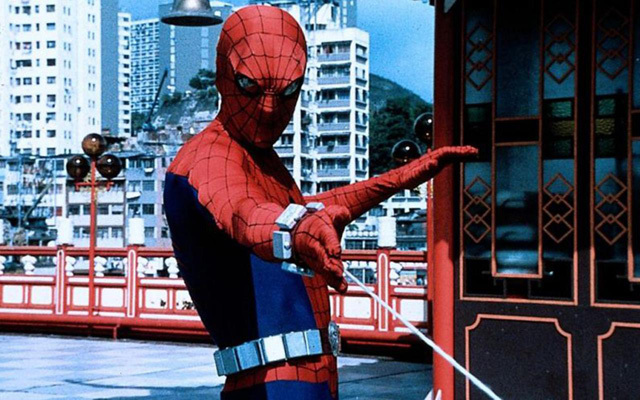 For instance, in an episode titled The Dragon's Challenge, Spider-Man goes to Hong Kong to save a Chinese politician accused of corruption, which is not very true to how Spidey would be in the comics. Plus, aside from Peter Parker / Spider-Man, J Jonah Jameson is the only character from the comic book series to appear regularly on the show. Aunt May and Joe Robbie Robertson did both appear in the pilot (Aunt May also showed up in one regular episode, but played by a different actress), but there was no sign of Mary Jane Watson, Betty Brant and Gwen Stacy, instead Peter's 'love interest' was a reporter named Julie Masters. 8. Someone else who was not a fan of the series was Spider-Man creator Stan Lee. He publicly said that he thought the show was "a total nightmare" and felt the tone was "too juvenile" - an ironic position, given that Lee was credited in each episode as the series' Script Consultant! 9. Contrary to popular belief, The Amazing Spider-Man was not canceled because of low ratings. In fact, despite being pushed around the schedule the series performed well, but CBS executives apparently wanted to shed the image of being "The Superhero Network". They were also airing several other live-action superhero series or specials at the time, including The Incredible Hulk, Wonder Woman, Captain America, and Doctor Strange, so in the space of one year they canceled The Amazing Spider-Man and Wonder Woman series', decided not to pick up Doctor Strange after the pilot aired, and dropped Captain America after just two TV movies. Only The Incredible Hulk survived the axe, remaining at the network until 1982. 10. 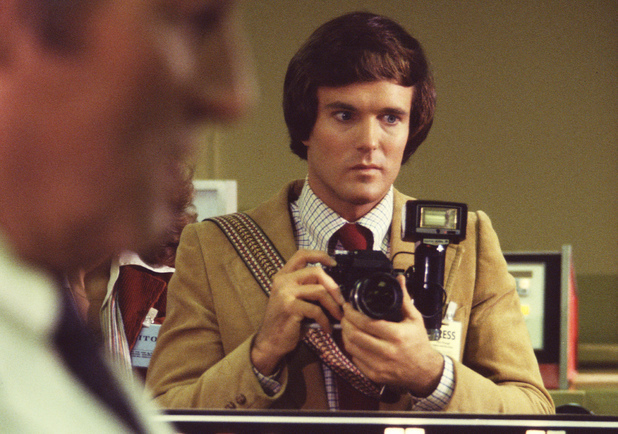 Some years later Nicholas Hammond revealed that he nearly reprised the role of Peter Parker / Spider-Man in a 1984 TV movie that would have paired Spider-Man with The Incredible Hulk. Hammond had co-written the script alongside Ron Satlof and Stan Lee. Bill Bixby was on board to reprise his role of Dr. David Bruce Banner, as well as serving as the film's director, and Lou Ferrigno would return to his role of The Incredible Hulk. All was going well, and many of the crew members from both The Amazing Spider-Man and The incredible Hulk TV series had been recruited for the project, until Universal canceled the movie before filming began due to budgetary reasons.